Sharing troublesome news today, Dawne now has Thyroid Cancer. Surgery is scheduled for the end of next week. Initial biopsies indicate she has Papillary Thyroid Cancer. If this holds true after final biopsy, this cancer growth is completely distinct from Dawne’s previous ‘HER2-positive Breast Cancer’. We are told Papillary Thyroid Cancer is infinitely easier to treat than Metastasized HER2 Cancer. Small break! We expect no new information, as concerns what stage of thyroid cancer, until after surgery. We started several weeks ago to update you all on Dawne’s breast cancer journey; her preparations for the end of this year and the anniversary of her breast cancer diagnosis. We paused when her doctor spoke to us about possible Thyroid Cancer. It took us back quite a bit. It has been a difficult month as we went from precautionary examinations to final diagnosis. Dawne and I thought long and hard about writing and posting about these new hurdles. We didn’t want to upset folks causing them to think the worst; yet we have been nothing short of candid in our previous writings. Dawne believes in cancer awareness and with that comes a willingness to share personal matters, even nuances which are uncomfortable. So it is that Dawne asked me to write to you today. Quite bluntly, Dawne’s recovery from breast cancer surgery and treatment is nowhere near complete and this added more layers of physical and emotional stress. You all have been a vital part of Dawne’s support team. I’m certain Dawne could use some additional encouragement right now. 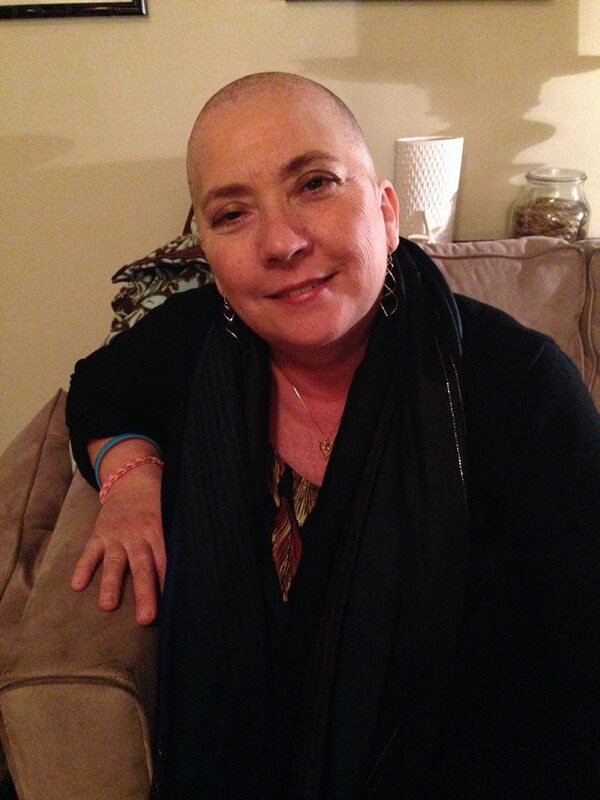 Breast cancer recovery is proving more difficult than anticipated. Those details we will save for later. Noteworthy today, is an important aspect of Dawne’s Cancer Story. She would not know she has thyroid cancer had it not been for the PET scans done to further the diagnosis and treatment of her breast cancer. Interesting to me is that Dawne has suspected for some time that her thyroid has been causing her to experience marked weight gain and renewed dealings with menopausal hot flashes. Regular bio-chem lab tests have indicated no cause and effect, yet her physical experiences indicate otherwise. It may be that Dawne is more in-tune with her body signals than the lab tests. Is it possible that with this unexpected surgery and post-op treatment that she may experience a return to health with the help of closely monitored thyroid replacement drugs? We sure hope so! You have all my love, support, thoughts and prayers. You know I’m pulling for Dawne and I’m here for you. Whenever she is ready, you both should attend the support group in OC. I can find out when the next meeting is. Where is she having the surgery? Love and prayers for you both. Always with you dear lady. Support is nothing short of ripples that spread upon the water, in this case the ripples lead to you, instead of away. Thank you my love your writing is amazing. Love you for all the support you continue to provide me.